For two days Israel has been launching rocket rain in Syria. Tel Aviv fired dozens of shells around Syrian territory. More than 20 people died under the blows, two Pantsir missile complexes were destroyed, and Damascus International Airport suffered. This is the most powerful attack since May of last year, when the Israeli Defense Forces (IDF) fired 70 missiles in the Damascus and southern Syria areas. The original objective of the latest Israeli attacks was again the pro-Iranian militia from the Al-Quds structure supervised by the Islamic Revolutionary Guard Corps. But when Syrian citizens were threatened with fighting them, the patience of President Bashar al-Assad was exhausted. At the last meeting of the UN Security Council, the permanent representative of Syria, Bashar Jafari, switched to the language of ultimatumб promising symmetric measures. If we consider the situation in terms of international law, the truth is on the side of Syria. Israel attacks Syrian territory, shows an act of aggression. So, Syria has the right to self-defense, right up to the strike on the aggressor, which since 1967 has been keeping the Syrian Golan Heights under occupation. Israel acts in violation of all international norms, in effect carrying out aggression against the Syrian state. There were no decisions of the United Nations on the application, the possibility of attacking Syria. So from the point of view of banal logic and the availability of technical equipment, Syria can really strike back. But neither the Syrians nor the Israelis need it. Syria has the potential to strike at Ben-Gurion Airport. But will this solve the problem? Syria is now waging a fierce war against international terrorism. She is threatened in the north and in the south: the American occupation continues, Turkish troops interfere in the internal affairs of Syria. And she has a wide enough front. Therefore, to open a new front against Israel, Syria is now impossible. But Israel can bring to the point when the Syrian leadership will be forced to respond to the blow, and Israel is taking a very strong risk here. Syria has ground-based missiles, Scud, C-300, which can also be used against both aerial and ground targets. In fact, Israel is fighting not so much against Syria, as with Iran. More precisely, with the Iranian and pro-Iranian militias from Al-Quds and Hezbollah, whom Bashar Assad invited to fight the terrorists. However, given that this struggle of Iran and Israel is unfolding on the territory of a third country, the situation turns out to be a stalemate. Israel cannot accept the Iranian presence near its borders. Tehran has significantly strengthened its position in the region: Lebanon is controlled by Hezbollah, Damascus is governed by Alawites, Iraq is heavily influenced by the pro-Iranian Shiite militia, and part of Yemen is in the hands of the Huseite Zeidists. In turn, even Syria, which understands these realistic considerations of Israel, cannot afford to attack its territory with impunity. 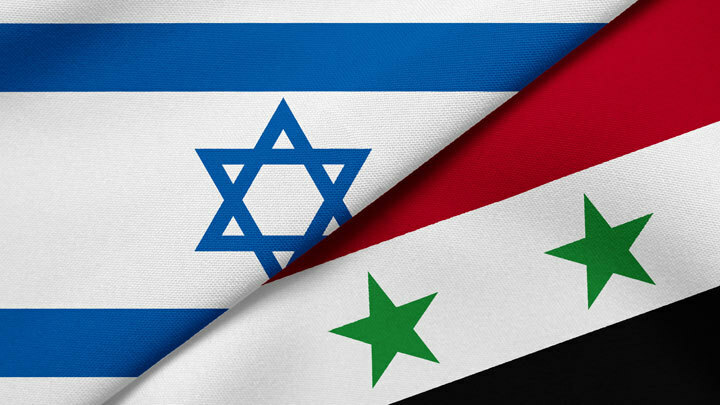 In short, the risk of escalation between Syria and Israel remains high. Iran and Syria are Russia's allies in the fight against terrorists. Together with Iran and Turkey, Russia is working to ensure that Syria remains a single and stable country. But a potential war between Syria and Israel will put an end to these goals. Escalation will lead to chaos that terrorists will take advantage of. Why are the Arab countries in no hurry to return Syria to the Arab League?